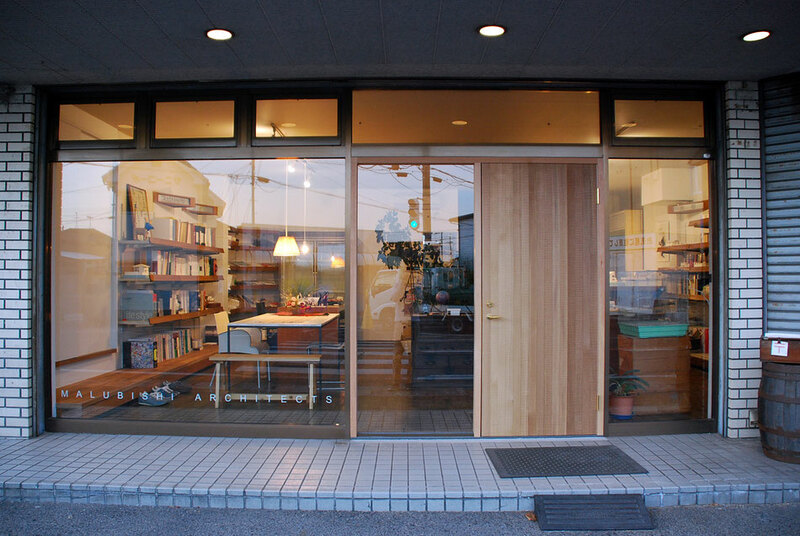 Before renovation, the second floor was studio + bathroom, the first floor was the office and garage / warehouse. 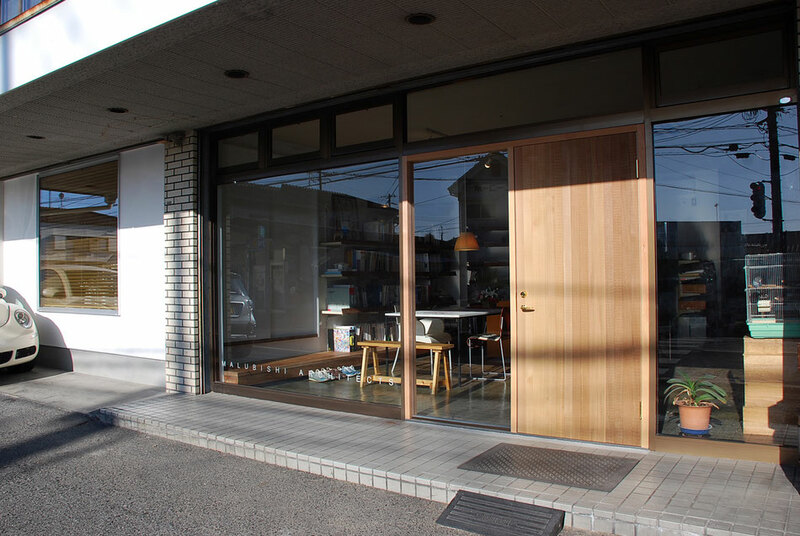 It was necessary to widen the internal floor area due to the change of family composition, internalized the garage / warehouse part which is the external space, and renovated to 2 rooms + storage room. Since the garage and warehouse part was outside space, it was not insulated and it was necessary to insulate the floor, wall and ceiling. Also, because the floor is dirt finish, we bundled up and made the floor assembly and made a new floor. Since the structure was exposed in the process of disassembling the inner wall, at the same time, the structural metal was attached to the column beam and the earthquake-resistant reinforcement was carried out. 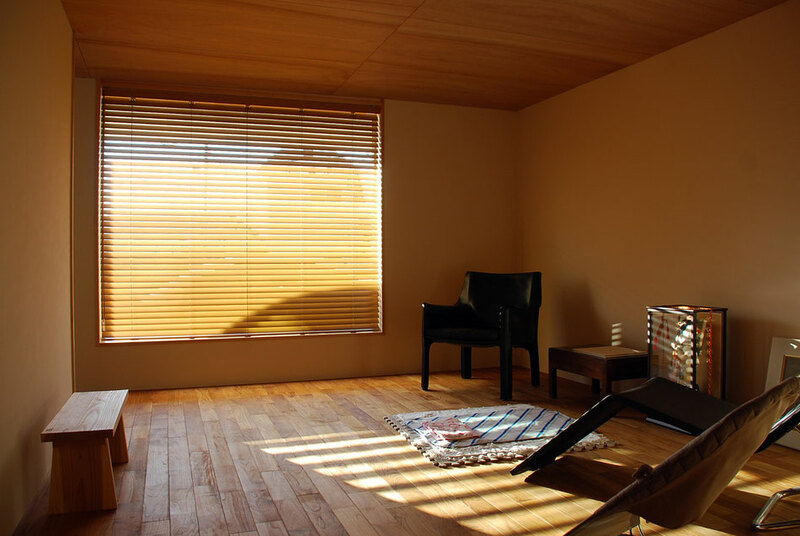 Interior decorated with teak flooring plastering plaster walls, plywood finished ceiling, and gathered up with calm tones. The entrance door has been replaced with existing double door, replaced by a cedar sawed finish with exterior doors with texture. 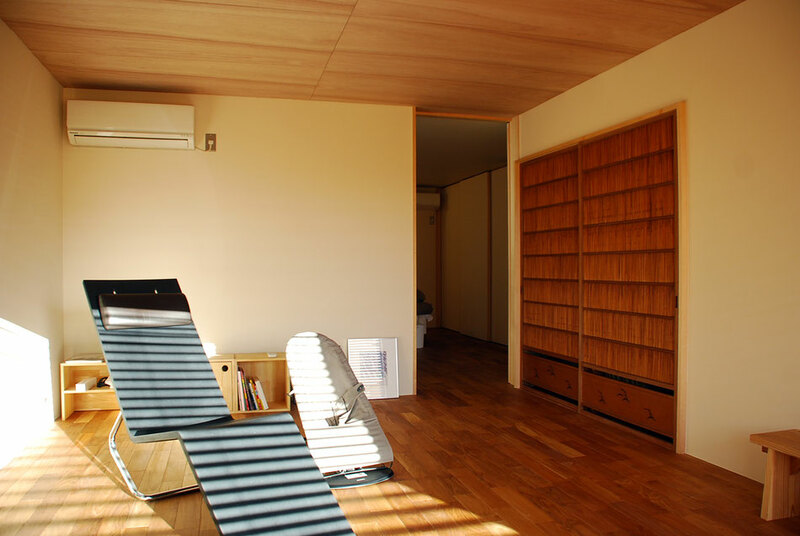 Teak flooring on a beige colored wall, plywood finish at the ceiling. Because of facing the road with a lot of traffic, the window is blocking the line of sight with a wooden blind. 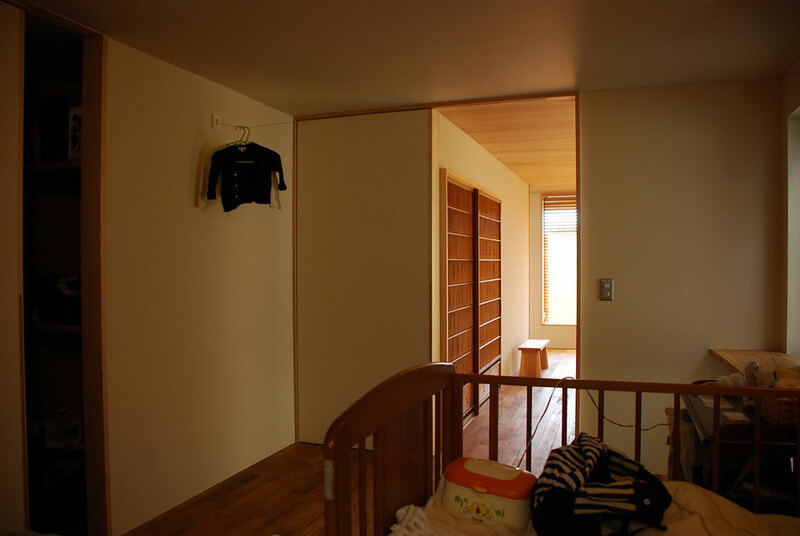 The ceiling height is 2.1 m, which is rather low, but it is synchronized with the calm atmosphere. On the right side of the door is a thing that used to be used at home before, it was taken out and fitted according to size. The right side of the difference is storage under the stairs. The left side is a washing machine storage area. Ventilation is well suited for washing machines that use water. The bedroom is visible in the back. Black furniture is shining in the color tones that dropped the tone. Black furniture is shining in the color tones that dropped the tone. 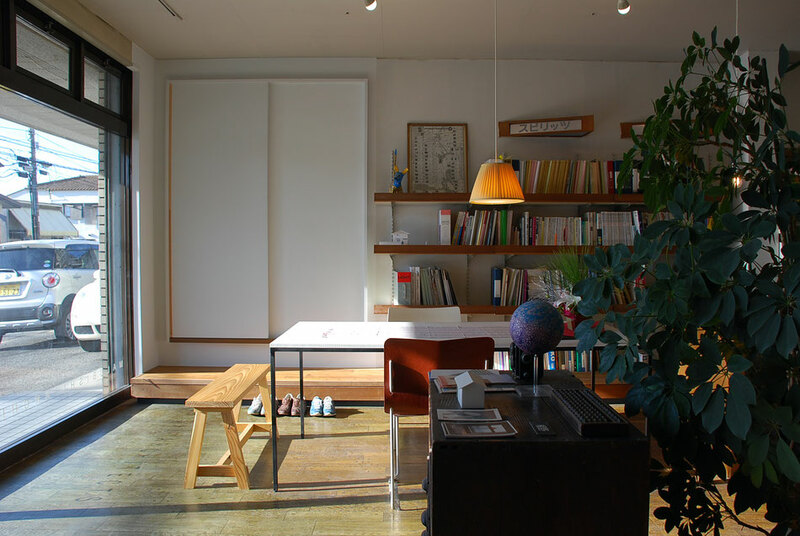 Light is poured softly on the plaster wall. 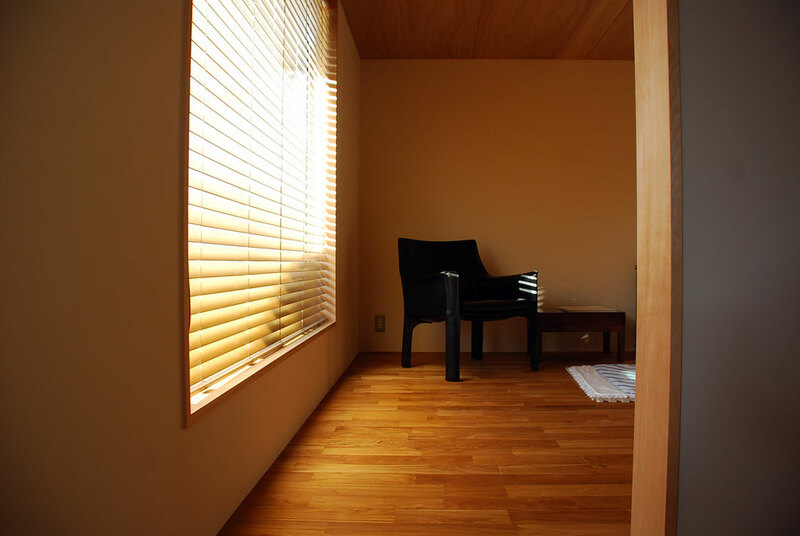 The sliding door of the bedroom is painted finish, and it is aligned with the color of the painted wall. We stretch the wire on the wall so that it can be dried indoors. 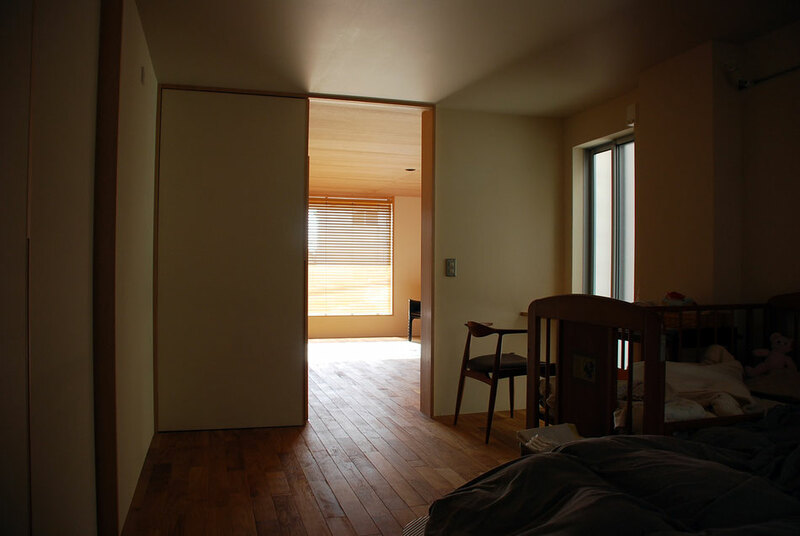 The sliding door is suspended so that the two rooms are continuous, and the flooring is continuous. 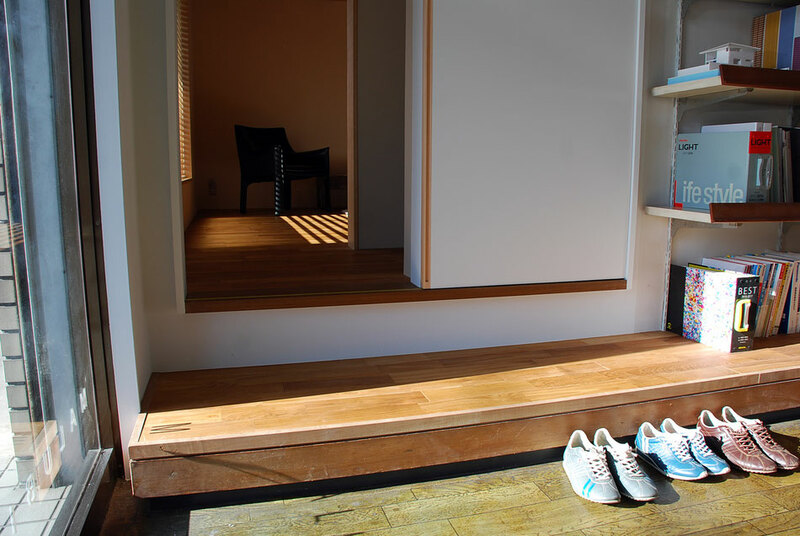 There is a built-in counter in front of the window on the right hand, making use as an ironing board. Openings are opened in the wall separating from the office so that they can go back and forth between the rooms. Inside the office. The entrance to the residence side is the sliding door on the left. 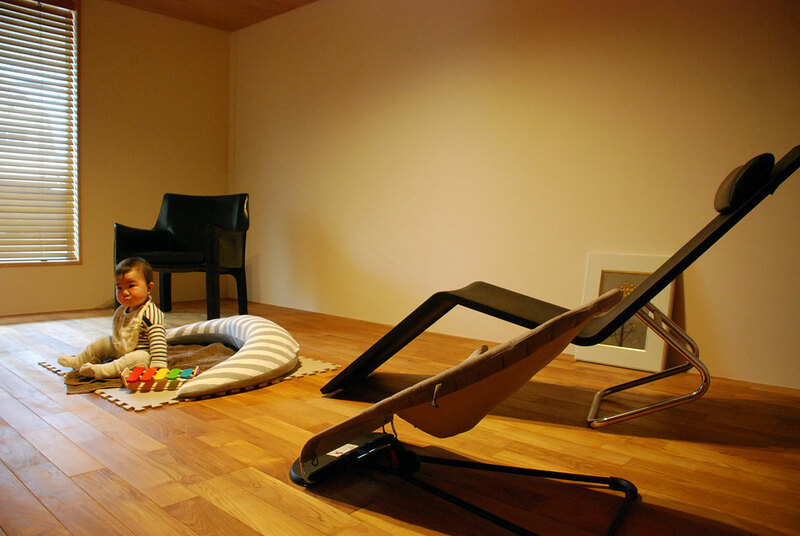 A custom-made meeting table is an extremely fine steel frame. 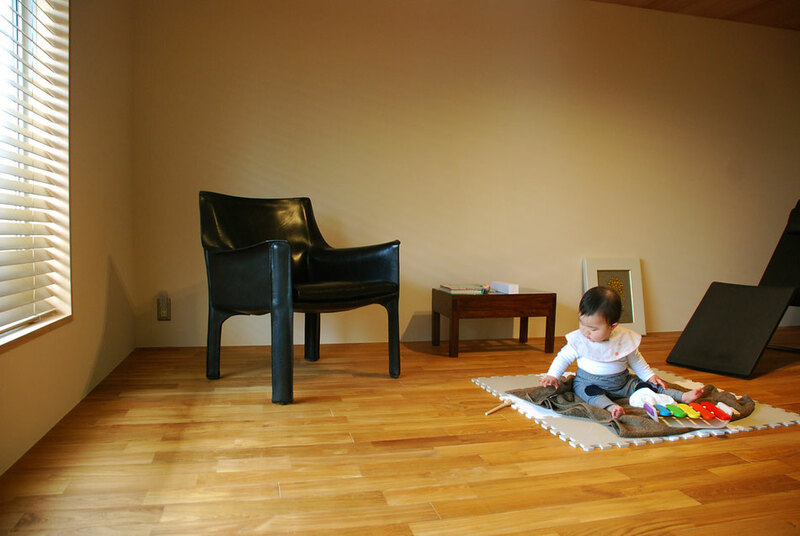 New flooring is put on the display stand of the original liquor shop, and it is made as a ceremonial stand. 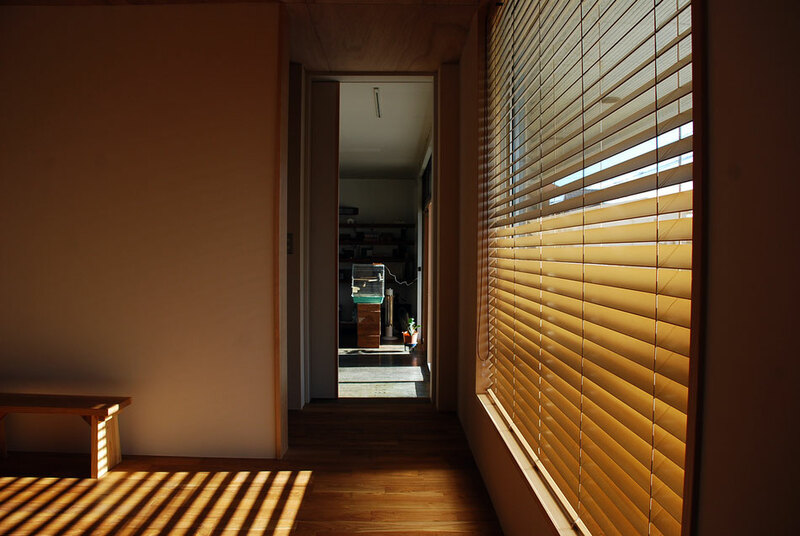 The lower part of the sliding door is used as a flooring same material as an up stile of the cheek. The pull hands narrow the findings and make it sharp detail. Remove double door from the original liquor store and set up a wooden exterior door on the right side. The left side is a wooden fix window. 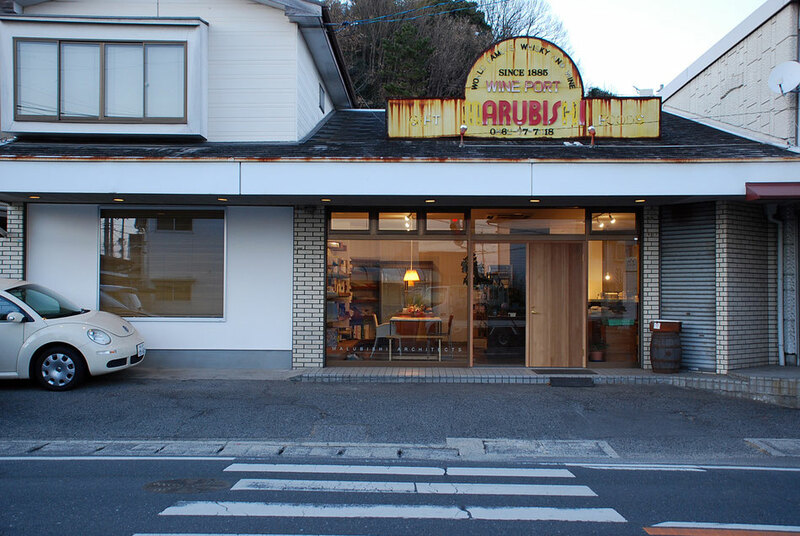 The large rectangular window part on the left was originally an external space in the garage and warehouse, but the exterior wall was set up by renovation to make it an internal space. The outer wall finish is plaster. A state of the office part. The appearance at the time of dismantling the garage and warehouse part. Although the floor was a soil finish, it was bundled up and made a floor assembly and raised the floor about 50 cm. A structural hardware was newly installed on the column beam, and seismic retrofitting was also carried out at the same time as renovation. 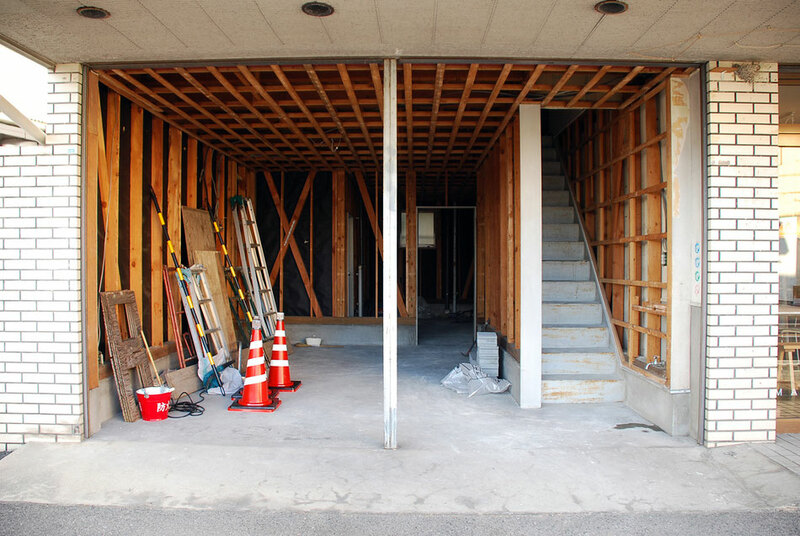 At this stage you can see that the opening leading to the office still is not opened next to the stairs.